Download and edit according to your experience our customer service representative resume examples. Bellow, you will find the resume sample and also some tips and advice for the job interview. To obtain employment as a Customer Service Representative at one of the largest cable, internet, and phone service providers in the state of Washington and to seek a challenging position in a type of working environment conducive to my professional growth. To be hired by one of the best companies in New Mexico where I can demonstrate my expertise in customer care and service management. So, you have decided to call it quits with your present company and seek greener pastures. It is now time to whip out your trusted Customer Service resume templates, and begin adding the latest updates to your work experience, training, and qualifications. Keep in mind that your resume should not only be freshly updated, it should also be written to target the specific requirements of the position you are applying for. For instance, if the position requires someone who can speak a foreign language, you could include in your resume the title of the foreign language course you took recently. You could also emphasize your ability to communicate well in that language in the key strengths portion of the document. This is just an example of how you can sell yourself through your resume by targeting the position’s job descriptions. When did company operations start? Who founded the establishment? What services and/or products does it offer? How has it grown over the years? What milestones has it achieved since its birth? What are the names of competing establishments? What are the latest trends in the sector? These are just some of the things you need to know about before even daring to show up at the interview. Being knowledgeable about these things reflects your interest in the job and passion for knowing all you can about your future employer. You simply can’t go wrong with doing the research! How would you describe a paragon of good customer service? How do you maintain your composure when a customer shouts and curses at you over something you had no control over? Describe the strategies you adopt to convince clients that they need the products or services you are upselling. What can you do to uphold the company’s best interests while keeping the customer satisfied? How can you encourage your colleagues to achieve their target metrics while maintaining your top spot in the ranks? How often are metrics and employee performance evaluated? Will the company provide training and education on products to fully equip employees with all they need for optimum job performance? How does the management approach and deal with employee concerns? It is never too soon to create and maintain a professional image. You can start with wearing the right clothes, especially on the day of the interview. Select the pieces in your closet that will be in keeping with the image you are trying to project. Business suits, skirts, dress shirts, blouses, and slacks should be good enough. Researching about the company you wish to be a part of. As with any other endeavor, you need to come out prepared or else, you are going to fail. The most important weapon that you should have in your arsenal interview is knowledge. You need to equip yourself with useful information that will make the employer like you. Chances are you are going to be asked why you want to work for his company – you can’t just smile and tell him “I don’t know.” If you have an idea about the company’s mission and objectives, you will be able to answer the interviewer’s queries with confidence. Prepare for a phone interview. If your customer service representative resume is leaned towards a call/contact center career, then you must prepare yourself for a phone interview prior to an actual interview. Since the job you are applying for deals with phone conversations, interviewing you through the phone will give the employer an idea about your communication skills, readiness, problem-solving abilities, to name a few. Rehearse the answers to possible questions. 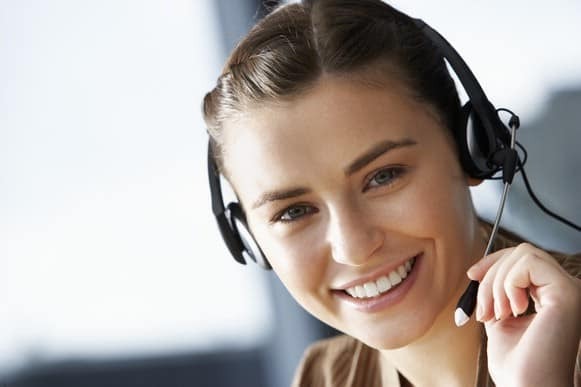 Why do you want to be a customer service representative? What motivates you to perform exceptionally? What adversities did you encounter in your past work? How did you solve them? How do you address the needs or demands of disgruntled customers? How do you work out a problem with a manager or supervisor? Your appearance during a job interview is one of the many factors that an employer considers before hiring an applicant. You might look professional in your Customer Service Representative resume template, but if actuality says otherwise, your chances of getting hired will surely diminish. Wear a conservative suit in a solid color; match it with a complimenting blouse. Wear tan/light-colored hosiery with moderately-designed shoes. Fix your hair in a presentable and professional manner. Keep perfume and make-up to a minimum. Wear a conservative suit in a solid color and pair it up with a white long-sleeved shirt and a pleasant-looking tie. Wear dark socks with professional-style shoes. Fix your hair in a neat manner. Avoid or limit wearing jewelry. Bring your documents in a briefcase or portfolio. Act professionally throughout the interview. Your interviewer might sound condescending, or he might just be the type of person you truly dislike. No matter what transpires during the interview, make sure to act professionally up until the end. Address the employer with respect, even if he keeps on pushing your buttons. Most importantly, do not forget to say thank you before you leave the room. If this Customer Service Representative resume example wasn’t sufficient for you, you are free to review some other samples and templates from our site. Browse to some related resumes below and find your inspiration.